Audiophile? LP fanatic? Or do you just know one? 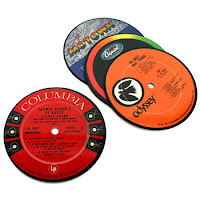 This set of six vintage record coasters would be perfect. From Elsewares.